I admit it; I’m guilty of going out of my way to capture the “perfect” shot. I’ve trekked up hills barefoot in Yellowstone dodging moose poop all the while and made illegal U-turns on many a highway in order to achieve this elusive “perfect” photograph. I’m not alone on the matter, either. My fellow hobby photographers often trade stories with me about climbing trees or scaling walls just to reach that level of total satisfaction with their work. However, as we talk, I realize that while we got that great picture, we never took the time to actually appreciate what we were photographing. We were so preoccupied with fine-tuning the lighting, angles, shadows, and composition that we missed the whole concept behind taking pictures (which is to be so taken with and engrossed in a moment; you just have to capture it on film). We photographed a moment, but we never lived in it. That’s why Polaroids, a somewhat archaic symbol of how far technology has come, still have a purpose (and a near cult following) even in today’s heavily contrived and calculated society where everyone is obsessed with putting their best image forward. Polaroids (and other instant cameras) help us “stop and smell the roses” so to speak. There are no re-dos with Polaroids (the film is too expensive for that); there’s no front-facing camera for you to adjust your pose in. There’s no editing, no nothing. What you see is what you get. 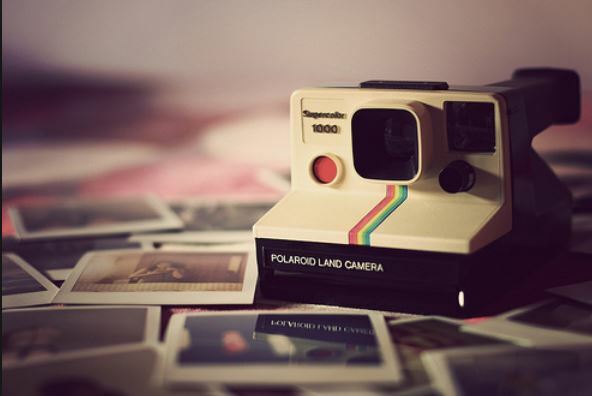 Besides, even if you do manage to get the perfect composition in a Polaroid, they are known for their tendency to turn out blurry and over or underexposed. But despite their somewhat messy final product, they teach us to live in the moment and to accept that sometimes things just don’t turn out well, but you’ll always have the memory. I think that’s something that we all often forget to think about amidst choosing between Instagram filters on our quest for more likes.